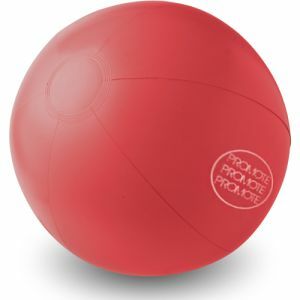 Looking for an eye-catching way to get your business or campaign message out to thousands, if not millions, of people? 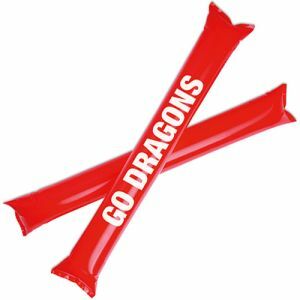 Then the Total Merchandise range of personalised inflatables are a fun way to get your name in front of holidaymakers, sports fans and those watching on TV. 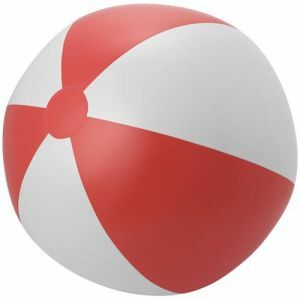 With printed beach balls, Bang Bang sticks and inflatable pointing fingers available, your business or campaign will be seen in a fun and fantastic way. So, what are you waiting for? Wouldn’t it be great to reach more people with your business message? 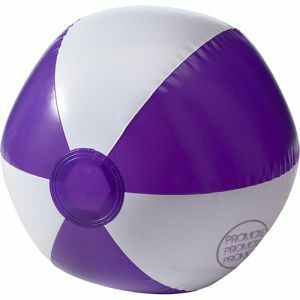 Now you can, with our range of branded beach balls. 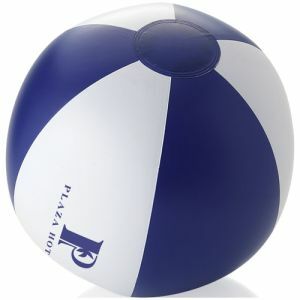 Our beach balls are a great way to get your logo in front of more people and are perfect for tour operators to give away to customers or for businesses who do things a little differently – a beach themed party or summer festival perhaps. 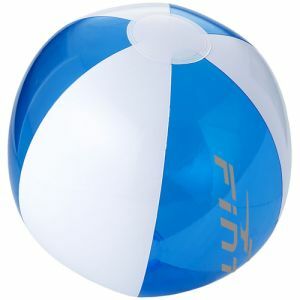 We have lots of different beach balls to choose from, from one colour balls to the Bondi beach ball made from three transparent and three white panels. 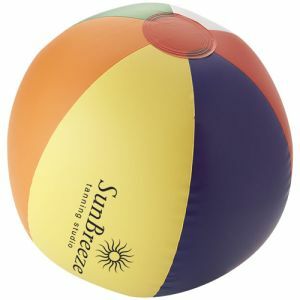 A printed beach ball is also ideal for businesses promoting their message during the summer. 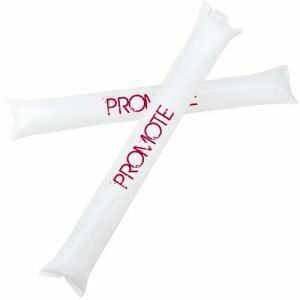 Or they can be handed out to staff or clients going on holiday or given away for free at festivals, events or trade shows. 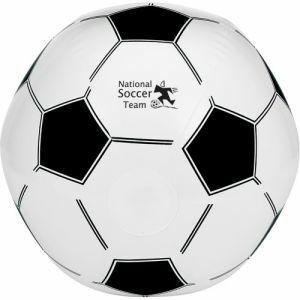 For those running a local football team, a promotional inflatable football will score a goal with your target audience. 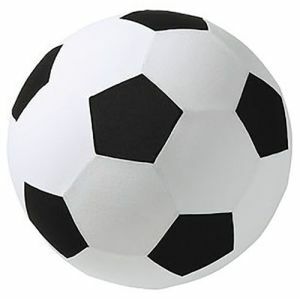 We’ve two available, a printed PVC football which can be printed with your logo or a durable inflatable with a soft fleece surface. Want to make a noise about your campaign or company? Then our Bang Bang sticks will get you heard. 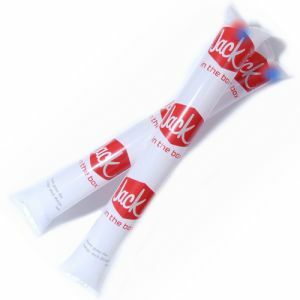 Bang Bang sticks are two tubes that, when banged together, get the crowd going. 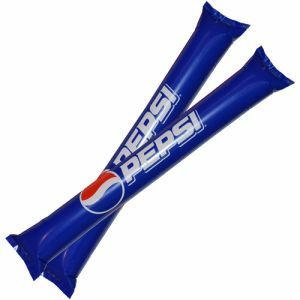 With one and two sided personalisation available, handing a branded Bang Bang stick out to sports fans can get your business seen by thousands inside a stadium as well as, potentially, millions watching at home. We also have a ‘Light Up’ Bang Bang stick with red and blue LED flashing lights that’ll make people stop and look! 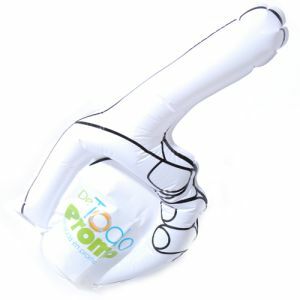 And a sporting event wouldn’t be the same without a printed inflatable pointing finger which comes with two-sided personalisation to get your business seen by even more people – no matter where they’re sat.